When work takes its toll on you, all you want to do is just unwind. You need to go on vacation with your friends and family who may also be itching to spend quality time with you. The United States is home to the best vacation spots that give you the best accommodation and the most memorable experiences. However, you don’t have to break your bank if you decide to travel with your loved ones. You need to choose vacation spots where you can have double your money’s worth. Nothing is more affordable than you and your friends or family camping and watching the majestic scene of the Grand Canyon. Prized for its massive chasm, one can enjoy free entrance to the National Park itself. You can also let your guide take you to the North Rim where you can enjoy the beautiful view of the canyon leaving you breathless. You can also save much on discounted eco-tours and cultural tours across the Grand Canyon National Park. 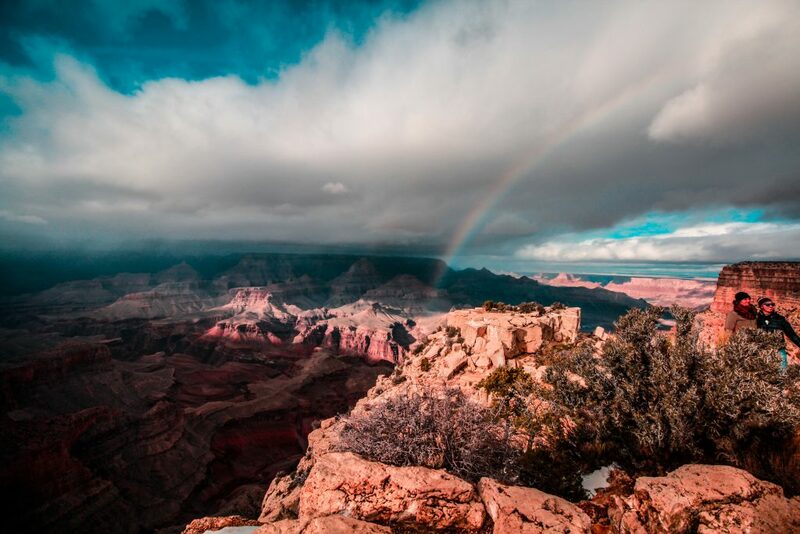 As one of the most prized UNESCO heritage sites in the US, the Grand Canyon offers affordable accommodations and tours to around 4.5 million tourists every year. Not only is San Antonio where you can find the River Walk and the site of the legendary Alamo, it is also a wise choice for a family trip if you are saving up. Although hotels and restaurants can still break your bank in some cases depending on their location, San Antonio room rates are still cheaper than most places in Texas. Aside from the Alamo, San Antonio also boasts of its many other famous missions which are a testament to its rich historical past. Experience the Texan pride when you are in San Antonio as you and your family go around exploring its old San Fernando Cathedral as well as modern theme parks and sports facilities. Yes, you heard it right – Las Vegas it is! Just stay away from the casino and you will not lose any more cash with Las Vegas. Going to Vegas on a weekend getaway may be deliriously expensive. That’s why you can have a midweek tour which is much more affordable. Las Vegas has many discounted hotel rates while you are hiking along Red Rock Canyon and paying Hoover Dam a short curious visit. The Bellagio Fountain Show as well as the Cirque de Soleil performance will also certainly amuse your kids. Then there is Neon Museum as well as all other hot spots that will take you away from the high-roller urban luxury. The annual festivals of Albuquerque including their internationally renowned Balloon Fiesta are the number one reason why you should stay there with friends and family. Summer is usually the ideal time for discounted hotel and transportation rates. That is, if you can stand the heat. This 300-year-old city boasts of the lush vineyards in Corrales and North Valley as well as the rich Mexican culture that awaits you in their ruins, boutiques and restaurants. The Sandia Mountains also add to the magnificence of Hispanic Albuquerque. Explore rock ‘n’ roll at affordable costs in Memphis. Immersed in its rich musical history, Memphis is where you can visit Elvis Presley’s birthplace at Graceland. Besides, grooving to the music at Beale Street won’t cost you a penny. In fact, Memphis has more to offer than Elvis Presley. Its bars also play B. B. King, Johnny Cash and Issac Hayes. The rich history of the city also bears witness to Martin Luther King Jr. petitioning for black equality for the sanitation workers way back 1968. Do your homework on the details of the place. Before you decide to go on vacation to your city of choice, make sure that you at least have an idea of what to expect in that place. For example, always carry your ID with you in New Mexico as their pubs and bars may ask for it. Also, you are not allowed to use drones at the Grand Canyon. Non-US citizens should also get their visa ready. You can opt for an easier way to get your visa online. Getting an visa from the official website of the US Electronic System for Travel Authorization is not as difficult as you think. Just try to find out through the online help desk how long is an ESTA valid for. When you know how long is ESTA valid, you will not get into any trouble with airport and police authorities. Nobody ever said you would always need a lot of money in order to have fun with friends and family. In fact, you can travel far in many places in America while enjoying affordable accommodation. As long as you know the laws where you are going and as long as you know when your ESTA US visa will expire, then you deserve that much needed fun-filled and relaxing trip.